A fan isn't "fake" just because he or she stays home and blogs all day. Or because they no longer want to financially support an organization that is among the top five worst run in all of sports, one that simply refuses to do what it takes to win (hire and empower a real GM). A fan can still support the team "win or lose" without buying season tickets. We all have our reasons for renewing, or not renewing. I personally am not renewing this season because what's the point? I can just get seats in my section on ticketmaster and not have to pay for preaseason and the crappy games at the end of the year. Does that make me less of a fan? I'm still supporting the team and rooting for them but I'm choosing to not waste money this year on games I don't attend. But I know people (the guy who sits next to me at games) who's renewing his three seats because he just can't stand the idea of not having them in his family, even though he knows it makes no financial sense. That works for him, same as it works for the guy who's not renewing because he hates Bruce Allen, as I do. We all have our reasons. I think the only lesson is not to take advice on how "change happens" in society from a guy who doesn't know the difference between "your" and "you're." I think the fans appreciated that the team was finally trying to be transparent about the lack of a waiting list and inviting the public to buy tickets. It seems like Snyder and Allen didn't appreciate the new strategy, however. But, from my perspective and I think from many fans' perspective, nothing the team can do to improve the "fan experience" is anywhere close to as important as winning. I think people's attitudes towards the team would keep deteriorating as long as they kept losing, no matter what gameday stuff LaFemina and his people were able to implement. I agree. The thing is, this franchise is so damn insecure that they're incapable of doing what needs to be done for the long term. If we had a real GM who felt safe and secure and confident, he wouldn't have any problem making smart moves that are in the long term best interests of the team. In public statements, he'd say "we anticipate this might be a difficult year because of our cap situation, but we're competing on the field this season while trying to build a team that can achieve sustained success." Many of the fans would be on board with a "rebuild" if done properly and by the correct people. That's something that Snyder and Allen don't seem to get. Thinking we're "close" year after year because they're so insecure and worried about fans fleeing is part of what's getting us in to this horrible position. Like many here, I'd like to cut Smith and take the entire cap hit this year, then make a lot of cuts and trades that right now might seem unthinkable (Kerrigan, etc.). Now is the time to make what seem like painful moves but will end up being the right ones. Also, sign Scherff and a few others to long-term deals and front-load as much of the guaranteed money as feasible. Honestly, I feel like this offseason presents a tremendous opportunity, one that we haven't seen since the 2015 season when we had an opportunity to lock up Cousins on the cheap for several years, which in my opinion by now would've end up being a great deal. Unfortunately, Snyder and Allen are incapable of thinking strategically and taking a long term view. It's painful. Maybe, maybe, maybe next season Snyder finally realizes how bad it's gotten and gets rid of Bruce Allen and hires a real GM and we get a real front office. Better late than never. But by then this opportunity to start the rebuild this year will be gone. I took a few notes: 15 minutes About 30 questions on different topics: Alex Smith; coaching search /Manusky/ Bowles ; Reuben Foster; Stadium; Impending free agents (Crowder, etc. ) Handful about fan discontent, #firebruceallen, firing LaFemina (no comment), accountability, etc. Maybe they could play at Audi Field like the Chargers at Stubhub Center in LA. I'm kidding but not entirely. I don't think just eliminating preseason games would do it, unless the discount on the other games were very substantial. Why pay for the games you don't want to go to? I've had season tix since 1998 and I'm out starting this year. Every year there are about 2 games I either can't go to or don't want to go to, and I usually can't even give them away. So why pay for those, on top of $50 parking for each, when I could easily just log onto ticketmaster, or walk right up to the FedEx gate, and buy either those tickets or tickets in the same section. And, I plan on doing that. I like my section and the guys around me who've had tickets since early 2000s in same section (UL at 50.) I really think there are lots of people, like me and the guys I go to games with, who feel the same way and will drop their season tix this year. We've been fed up with the team for years, we're not wild about the stadium, but we like going to 5 or so games a year and sitting in the seats we've had for years. Would these STHs still have to pay for pre-season tickets? I'm skeptical of the drivers license plan as difficult to execute but sounds like you had a good experience with it. They are going to have issues with attendance until they start winning consistently. Period. They can try these tricks, but it's all a band-aid until they start to win, and the best way to do that is by hiring a real GM and doing things the right way. It's pretty simple actually. But there's no reason to think it'll actually happen. If they finally build a real football organization and rebuild, the right way, they'll have an opportunity for sustained success. The crowds will come back eventually. That's the only way, especially in this day of declining NFL attendance league-wide. I agree, not easy at all for the coach, especially with so much going on . . . which is why somebody besides Gruden should be specifically designated for clock management. Gruden is clearly over his head in trying to call plays and manage the clock on top of everything else. This is a multi-billion dollar business, and games are won and lost on mistakes like this. Mistakes that wouldn't happen if one person was designated to be helping the coach with them. I disagree with the argument that the Bears were better off not calling the TO on defense earlier because it's better to save one on defense, but it's a reasonable position. At least Nagy probably considered calling the TO and decided against it. Gruden wouldn't even have considered it. It doesn't come naturally to him to have the foresight to think ahead, to ask 'what if the Eagles score here?' Instead, he's thinking, Eagles are running of time, ugh, duh, I hope we can stop them! Yes. When the team announced in late August that tickets were available for sale from the team on ticketmaster, I checked all eight games and was shocked to see how many available. The largest numbers in the lower bowl were in the endzone and corners. In some cases, there were hundreds of tickets available in each section. Entire rows of seats were unsold. Again, this is primary market, from the Redskins, not re-sale. I checked ticketmaster the day before the season opener. Bruce Allen had claimed in an interview that he was expecting a sellout. But it was clear that wasn't the case, as there were still many lower bowl sections with dozens and dozens of unsold seats. I went to the season opener and it really very noticeable in the lower bowl. In the upper level, it was even more dramatic. In my section alone (454) there were 120 or so seats available. I remember being pissed because when I'd checked upgrade possibilities in May, there were only a few available. But then on ticketmaster there were four seats 10 rows down from mine, right on the aisle. There's one thing that will lead to a better experience and growing the fan base and protecting the viability of the product. Winning. That's it. So, what's the easiest path to winning? Try to fill the lower bowl with Redskins fans only (which I contend is impossible) ---> to get a 3-6 point impact (which I contend is exaggerated with a half full stadium or even a mostly full one) ----> win more games based on the 3-6 point impact ----> get more fan interest ----> better fan experience OR Hire a real team president who hires a real quality football GM with 100% final say on the roster who also hires the coach who hires the assistants -----> winning ----> better fan experience and growth of fan base and long term viability of product. I'd say it's the latter. 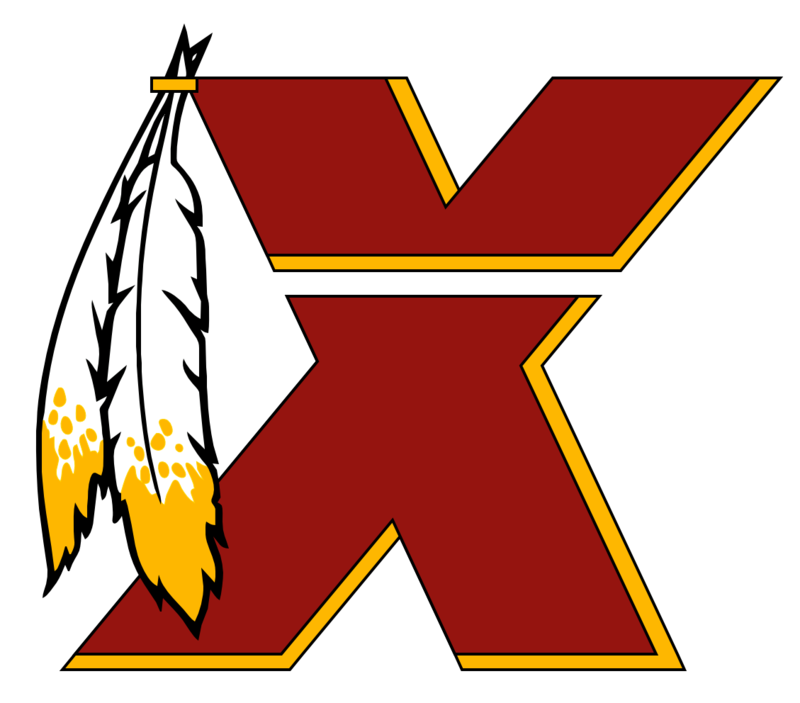 And until the Redskins start acting like a competent organization, they will never have long-term sustained success. Sustained success will lead to inspired fans, home field advantage, etc. Artificially trying to improve home field advantage for a bottom of the barrel team run by incompetent football people with things like whatever the Vegas Knights did, rather than actually building a winning team, seems like doing things in reverse. I'm not familiar with how the Knights did it would seem difficult, especially in the current environment. There are thousands and thousands of seats available on the primary market in the lower bowl. A fan of any other team can walk up to the FedEx window on game day and purchase a seat in the lower bowl. Who and where are all these phantom fans waiting to fill the lower bowl? I've been in the upper bowl since 1998. But I'm out now. Not renewing. Not necessarily because I have no hope in the franchise (I haven't for years) or because of traffic or parking (it's been bad for years) but because why the heck would I pay for preseason and 10 parking passes and and 1-2 games I can't or don't want to attend, when I can easily log onto ticketmaster and purchase my same exact seats for the game I want to go to. I think people misunderestimate the gravity of the situation. It was only a year or two ago that some poster on this board was trying to convince people (including me) not to sell our tickets on stubhub because opposing fans might buy them. Many people didn't seem to realize that the team was selling thousands and thousands of tickets to brokers, who were then dumping them onto the market, resulting in the influx of opposing fans. At least this year the organization had the fortitude and honesty to admit what had been clear to all of us for several years -- that there was no season ticket waiting list. How is that going to happen?!? What pricing and what restrictions? There aren't enough Redskins fans attending games to fill the lower bowl. I wish people would start to understand that. I don't know. Feel free to look it up. Point is, the NFL is designed for parity. It's designed so that every 4-5 years a given team gets 9 to 10 wins and squeaks out a division win or a wildcard. It's hard to avoid that parity and not have a decent team sometimes. But sustained success, 10 to 11 to 12 win seasons in consecutive years, those are hard to come by and those require quality management and leadership. We don't have that. The "sky isn't falling." You're right. But I don't judge the organization by that standard. I expect more. I expect them to do what should be obvious to everyone. To hire a real GM and hand over the keys to the football operations. They've never done that under Snyder and what's why we're the top of that list of mediocre.